Higi, a healthcare company launched by now-Tronc Chairman Michael Ferro, has received an undisclosed investment from the Blue Cross and Blue Shield Associations's venture fund, according to a statement on the company's website. The Chicago-based company used some of the inflow to acquire Seattle-based EveryMove, "a pioneer in consumer health engagement that delivers a cloud based engagement application which provides incentives to health plan members to reduce costs and improve outcomes," according to the statement. "This investment along with the integration of EveryMove further extends Higi's leadership in enabling population health and our ability to help our payer, provider, retail, and brand customers to drive behavior change, cost savings, and improved health," Higi CEO Jeff Bennett said in the statement. 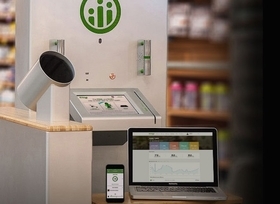 Founded in 2012, Higi owns and operates 11,000 self-screening health kiosks in retailers nationwide. In 2014, Higi signed a deal with national drugstore chain Rite Aid to become its sole provider of health stations where customers can check their weight, pulse, body mass index and blood pressure. It raised $40 million in funding in early 2016. "Higi is the only network we have seen that has demonstrated an ability to integrate into the normal workflow of the consumer, whether at the retailer, the pharmacy or on their mobile phone," said Anna Haghgooie, a managing director of Sandbox Industries, a venture-capital firm that advises Blue Cross and Blue Shield Venture Partners. Higi has 50 employees, according to data from BuiltinChicago, up from 23 in 2013. Ferro launched Higi when he was chairman and part-owner of Wrapports, the parent company of the Chicago Sun-Times. Higi's chairman and co-founder is William "Beau" Wrigley Jr. Representatives of Higi, Blue Cross and Blue Shield Venture Partners and Sandbox Industries did not immediately return messages seeking comment. "BlueCross BlueShield fund invests in Ferro healthcare creation Higi" originally appeared in Crain's Chicago Business.